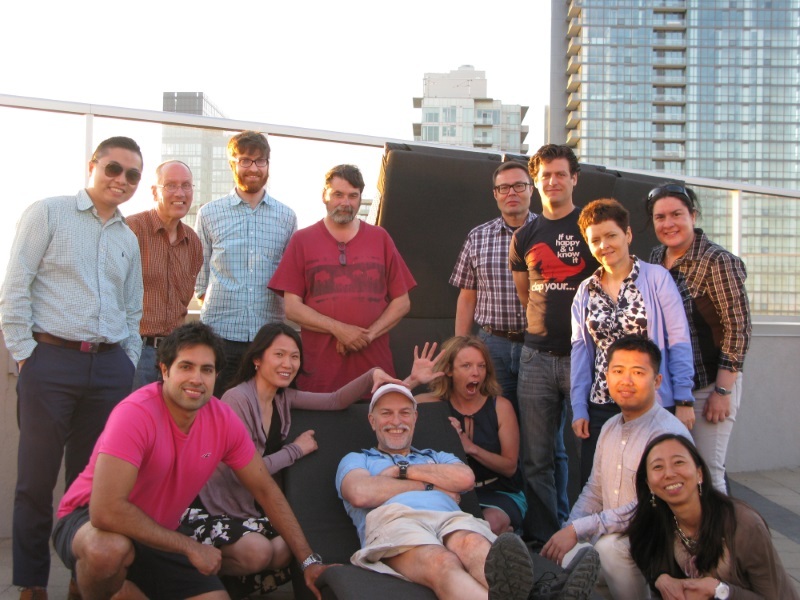 St. Vladimir Toastmasters - meeting weekly to improve confidence and public speaking! Who? 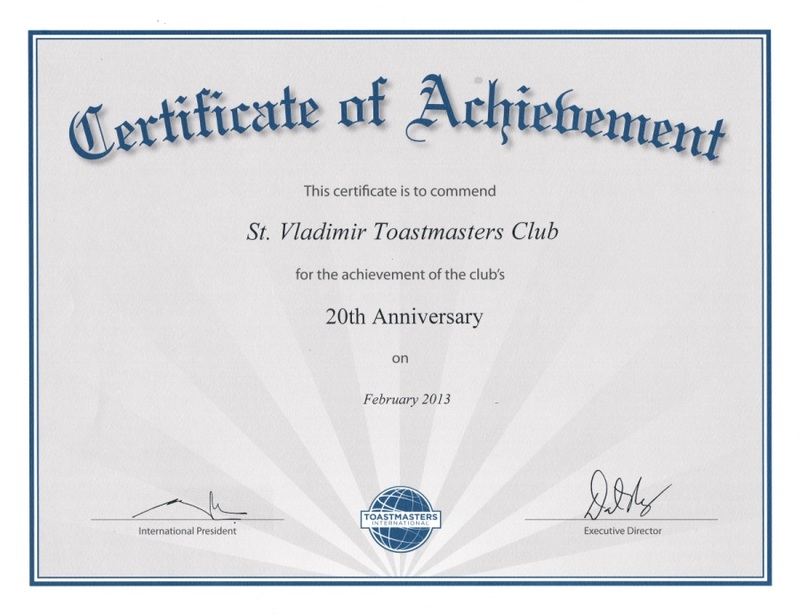 St. Vladimir Toastmasters is a chapter of Toastmasters International. We are a diverse community group who get together, for a FUN jam packed meeting to improve confidence, public speaking and leadership skills. How? Every week we have an exciting 75 minute meeting. But you do not have to attend every week. Members take turns leading the meeting, keeping track of time, making presentations and prepared speeches, giving each other constructive feedback and evaluation and practicing impromptu speaking. How Much? Not Much! It's FREE to visit - no obligation; just drop by,njoy the evening. The membership fees are less than $2.50/week - $72 for the next full 6 months- about the cost of a cup of coffee a week, one of the least expensive Toastmasters clubs in Toronto! and we give a $10 discount for paying for 12 months! *** HOW EFFECTIVE ARE WE? We are a Top 1 % highest achieving club in the GTA! Humorous sketch about "What is Toastmasters?" "As a guest speaker at this club (March 29th, 2017) I must say that I had a great time at St.Vladimir Toastmasters. The members there were very supportive,of my participation and also gave me constructive suggestions about my speech. The members were very well spoken, but never did I feel out of place with this group I just met. I felt quite welcome. Overall, if you are looking to improve your public speaking skills, guest speak at a club, or see how a public speaking group operates, I strongly recommend St. Vladimir Toastmasters club!" Thank you for your welcome to St. Vladimir Toastmasters. Like my xm community club, your group was so warm. 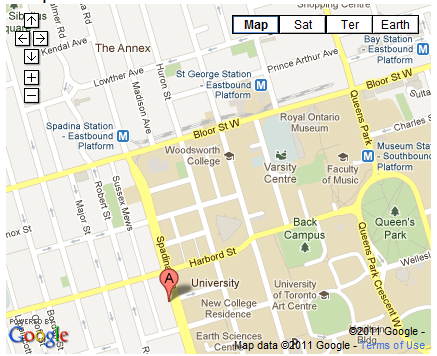 On my next holidays in Toronto I will attend again. See you. Toastmasters has helped me learn how to turn the storyteller in me, to tailor the tale to the audience, for children, the parents, and those with different life experiences. Please visit us any time!. So, we invite you to visit a club meeting and decide for yourself. We Turned 21 this year!